Feet Off The Ground is an all-female performance collective making innovative, physical and engaging dance in varying settings and contexts. Feet Off The Ground represent women in a strong, physical capacity and challenge audiences to perceive the female form in nuanced ways. Feet Off The Ground cross movement languages and utilise Contact Improvisation and Partnering techniques as a common ground for research and performance devising. 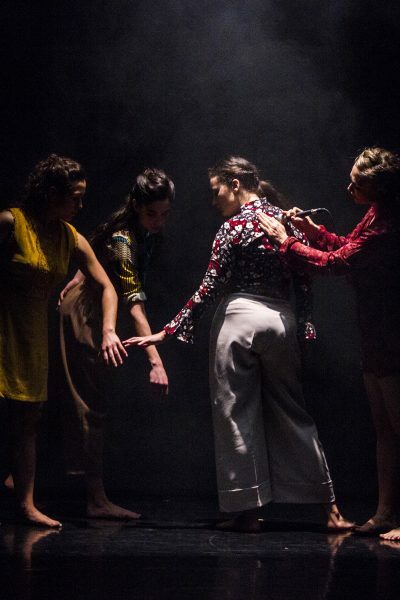 Championing the female body, the collective push physicality and work against the traditional roles of women in dance. Their principles are simple: explore the unfamiliar, take risks and think big with artistic integrity.